Synopsis from the book jacket: What mother wouldn’t try to bargain for the life of her child? In the waiting area of the pediatric intensive care unit where her five year old son lies in a coma, psychologist Dinah Rosenberg Galligan meets a seductive spirit, one with a startling connection to her past, who claims he can make her child well again if she’s willing to pay the price. A spellbinding writer of suspense, Fran Dorf fashions a thrilling psychological tale that explores the borders of love and obsession, grief and madness, despair and faith. Powerful, vivid and deeply affirming, Saving Elijah is, at its core, the story of a mother’s love and of a family’s discovery of what it means to be human. paperback by Signet(1993). Now available in a new edition. At the DrummondRehabilitationCenter, Lana Paluka regains consciousness after two decades in a catatonic state. Now 38 years old, the former flower child cannot remember her fall from a deserted cliff: she cannot remember the trial that resulted in her boyfriend Ethan’s imprisonment for her attempted murder. And even as Lana’s doctors salute the miracle of her recovery, Ethan escapes from prison and is compelled to find her, leaving a bloody trail of mayhem in his wake. At the same time, Jack Wells, a reporter who grew up in the same town as Lana and knew her when they were teenagers, painstakingly begins to uncover the secrets of Lana’s past. Alternating with shocking and poignant scenes from the past, Jack’s investigation leads him inexorably back to the hidden heart of his own family, and to truths he has long denied, and this haunting, magical novel unleashes the darkest of human passions even as it attests to the power of enduring love. Originally published by Birch Lane/Signet. Now available in a new edition. Laura Wade is beautiful, brilliant, rich, and gentle, with a handsome, successful husband and three lovely children.She is also convinced her thoughts can kill. David Goldman is a psychiatrist trying to save Laura’s sanity.Instead he finds himself fighting to keep from believing her—and from wanting her. Together they are drawn into a maelstrom of danger and discovery that makes what we know as madness seem safe…. 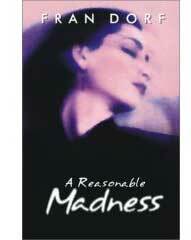 A Reasonable Madness is a novel of terror and passion graced with a tender and unforgettable love story.A remarkable novel by a spellbinding writer of psychological suspense.